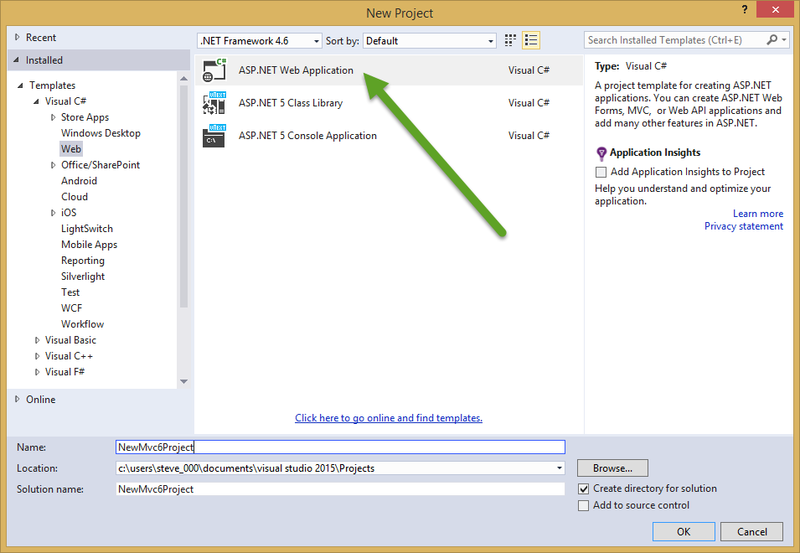 In this post we will see how to write your first application using MVC 6 and Visual studio 2015. 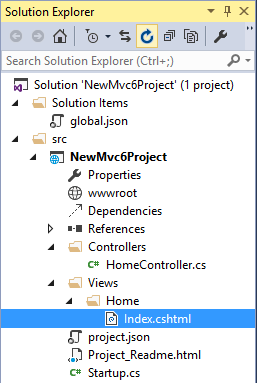 First of all let us add simple MVC 6 project. 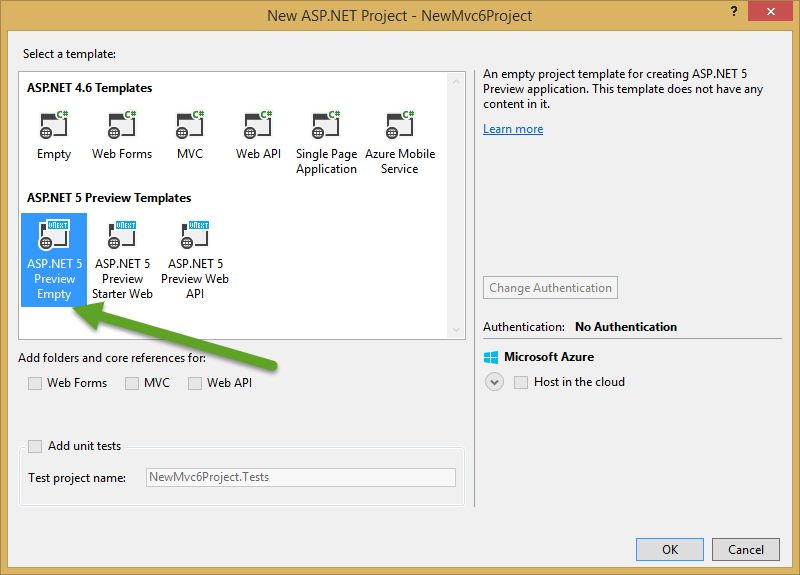 and then select empty Asp.Net 5 preview. What is new in folder structure? src folder – contains all projects that contain source code that make up your application. global.json – this is where you put solution-level settings, and allows you to do project-to-project references. startup.cs – this is where you put your startup and configuration code. But wait! Is it MVC? Ok, so now it is Mvc project right? Wait, we forgot to add configurations. This code enables MVC and defines a route. Voila! Yes now it is an Mvc Project. Now let us add controlls and views. 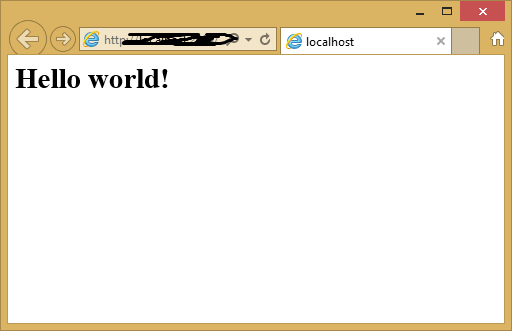 Run the application – you should see Hello World output in your browser. Congratulations for your first MVC 6 project! 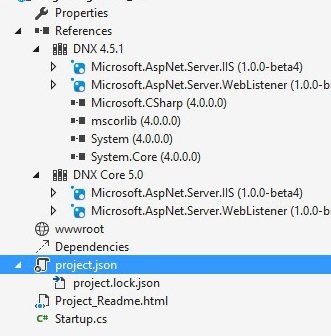 How do you retrieve the connectionstring from the config.json file when you are in the data access layer project (separate from the web project?